We, the Islamic Society of Boston, practice and promote a comprehensive, balanced view of Islam. We strive to embody the “middle path” to which our scriptures call us – a path of moderation, free of extremism, and representative of the Islamic vision of a healthy community. We believe that the core teachings of Islam are universal and timeless, providing guidance and instruction for all times to come. We strive to purify our intentions to make our deeds pleasing to God. We are committed to sincerity in all our words and actions. We believe that all success comes through the blessings of God. We uphold and affirm the sanctity of human life, including rights of the unborn. We condemn the taking of innocent, non-combatant lives through acts of terrorism or state-sponsored aggression. We believe in respect for the individual. This includes respect for the diversity of opinions within the Muslim community and the diversity of religions and ideologies in broader society. We condemn all forms of bigotry, including racism, sectarianism, anti-Semitism and class discrimination. We believe that bigotry destroys communities. We believe that men and women are equal in the sight of God. 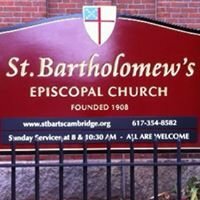 We are committed to serving all members of our community with dignity and fairness. 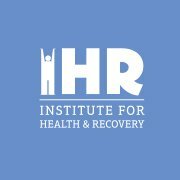 We seek to engage the broader society in acts of virtue and common good. We strive to partner with other organizations, recognizing that the Muslim community must reach out and play an active role in the broader community. 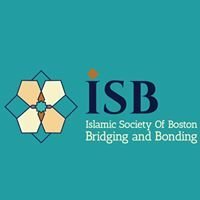 The Islamic Society of Boston (ISB) was formed in 1981, when Muslims new to the area felt a need for organization or place to gather them, preserve their Islamic identity and help them observe their obligations as Muslims. We practice and promote a comprehensive and balanced view of Islam. We strive to embody the “middle path” to which the Qur’an calls – a path of moderation that is free of extremism. We believe that the core teachings of Islam are universal and timeless, providing guidance and instruction for all times and all peoples.